Children require a different approach, which our specialised physiotherapists will always consider in assessment and treatment. Milltown Physiotherapy is delighted to be able to offer a physiotherapy service to our younger patients. Paediatric physiotherapists have specific training, experience and expertise in working with children. Two members of our team who have particular interest treating children are Aisling Dolan (Neurodevelopmental; Orthopaedics; Musculoskeletal) and Una Cusack (Neurology; Neurological Rehabilitation (Brain&Spine); Vestibular) . 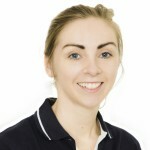 Aisling Dolan MISCP has a special interest and a wealth of experience treating young children with Neurodevelopmental delay, as well as Orthopaedic and Musculoskeletal conditions. Aisling has developed her expertise in paediatric Physiotherapy by managing the paediatric service in Roscommon Primary Care. She has completed a masters in Neuromusculoskeletal Physiotherapy from University College Dublin where she completed a research thesis focusing on the physiotherapy management of growth related overuse injuries in children playing sport. Una Cusack MISCP is a Neurological Physiotherapist with an interest in treating children with Brain, Spinal, Vestibular and Oncological conditions. She has extensive experience in rehabilitation from acute care to advanced rehabilitation whilst working in both London and Dublin. Una completed a masters in Clinical Neuroscience from Kings College London. Una worked as the Senior Paediatric Physiotherapist in the National Rehabilitation Hospital Dun Laoighaire where she treated children who were affected by Brain, Spinal, Limb congenital/trauma/amputation, Disorders of Consciousness and Vestibular (Dizziness/Balance/Eyes/Inner Ear) conditions. Both Aisling and Una will be delighted to assess and treat young and older children in Milltown Physiotherapy Clinic. Treatment is by appointment at the clinic only.